When you need a bit more space to keep everyone happy and comfortable on your camping adventures, but you also want to keep on budget, choose this Aspen Trail LE Series 31BH travel trailer for a fun get-a-way weekend or week-long adventure! You will find plenty of conveniences like dual entry doors, two slide outs for adding roominess inside to move around, a bunk area for the kiddos, and a bathroom that is easily accessible from outside as it features its own private entry door. This unit easily sleeps 8 with the rear bunkhouse, and you can choose to do your cooking outside on any nice day in order to soak up as much fresh air as possible with the outdoor kitchen beneath the bunks. There is also ample storage and space for everyone. Take a look and find your own spot to relax! 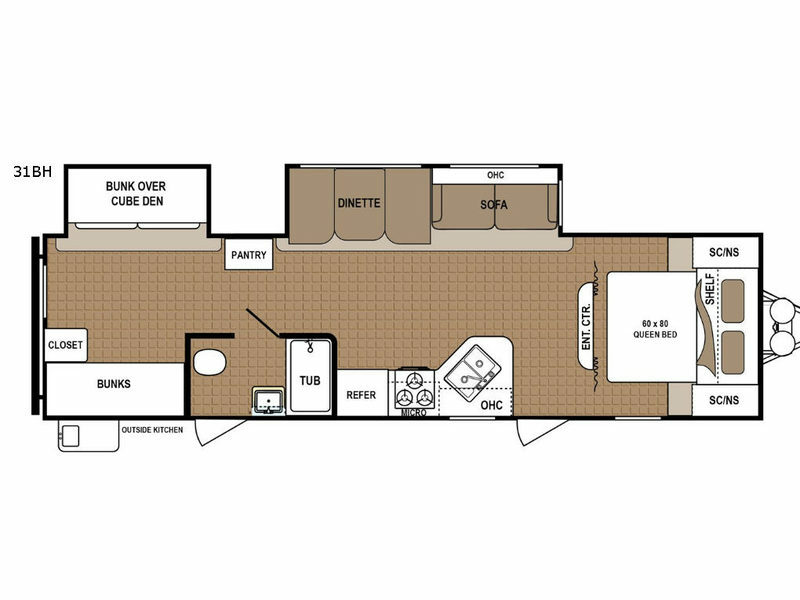 With each Aspen Trail LE Series travel trailer by Dutchmen RV you will travel light with plenty of luxuries to make every stay comfortable and enjoyable. 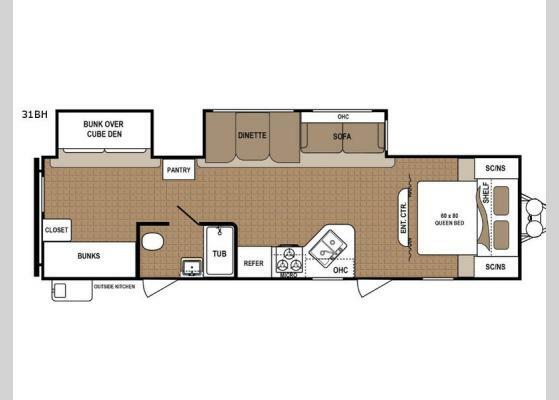 From the residential queen bed, LED interior lighting, and upgraded residential flooring to the 82" interior height ceiling and galley sink with high rise faucet, you will not miss any of your amenities at home while away. Choose your favorite layout today!